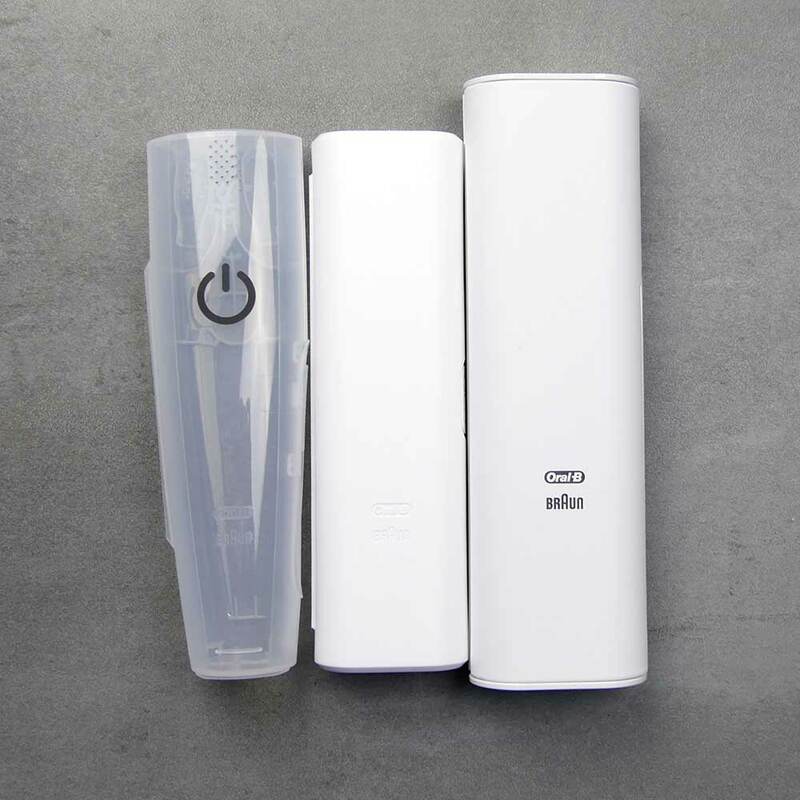 3 very similar, yet different electric toothbrushes, all with smart features thanks to Bluetooth connectivity. The Genius 9000 is our overall recommendation between these three (and the brush we rate as the best from Oral-B), but it does come at a price and might not be for everyone. But, if you want the best of Oral-B, then this is it. 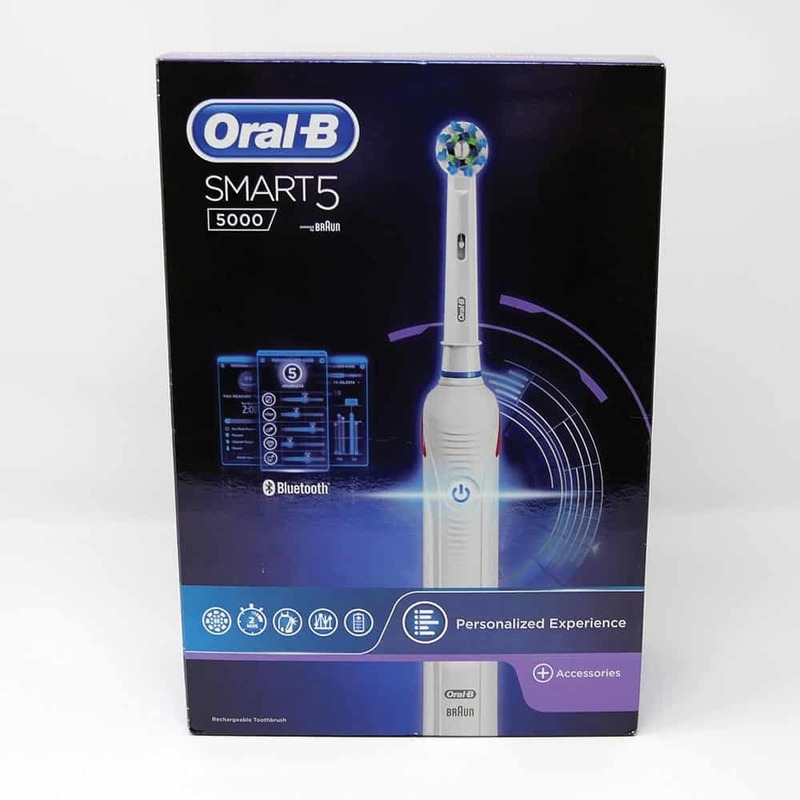 The Smart 6 is a very capable toothbrush, but sadly it is sort of lost between these two models and really would only be the one to go for if the price was particularly favourable. 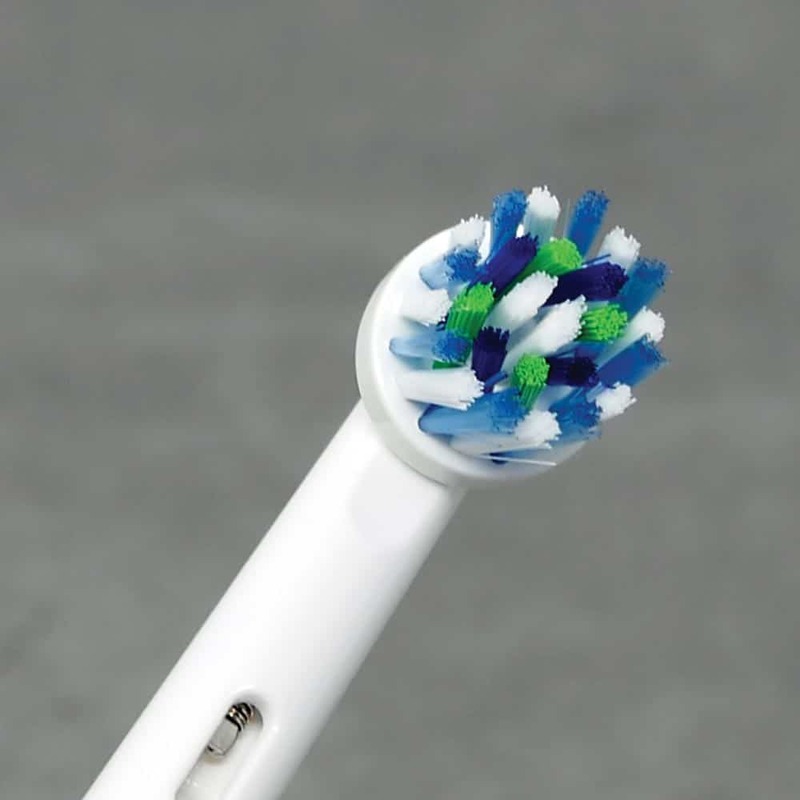 As every other product in the home begins to be connected to the smartphone, why should the toothbrush be left out?! Well, these 3 models are just a selection from the Oral-B range that can be connected to a phone via an app. 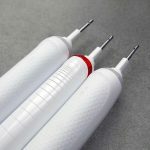 Whilst the range of connected brushes are greater, these 3 are the most popular and most asked about by our readers. What are all the differences, read on to find out, and particularly why we have made the decisions and conclusions that we have. The Genius 9000 has an extra cleaning mode, Tongue Clean over the other 5 they share. 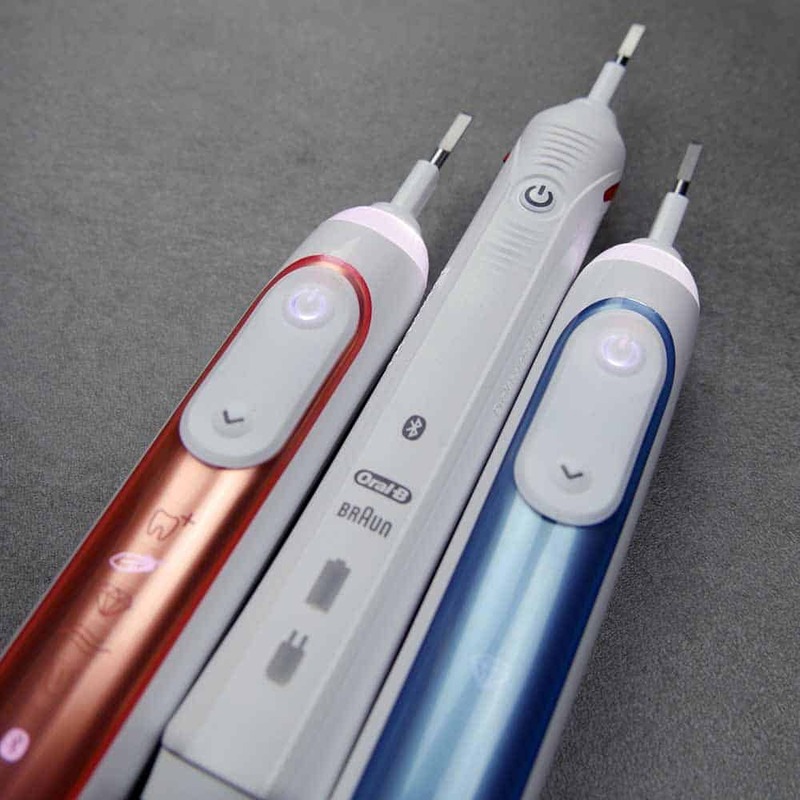 The Genius 9000 has a separate cleaning mode button and icons for the different modes. The Genius 9000 has a Smart Ring that doubles as a pressure sensor. The Genius 9000 comes with a suction cup smartphone holder compared to the smartphone stand of the Smart 5. The Smart 5 5000 has a better battery life, lasting 16 days compared to 12 of the Genius 9000. The Genius 9000 comes with a premium travel case. The Smart 5 5000 comes in a White/White colour configuration compared to the Silver. White, Rose Gold, Orchid Purple and Black colour combinations of the 9000. The Genius 9000 comes with a suction cup smartphone holder compared to the smartphone stand of the Smart 6. The Smart 6 6000 has a better battery life, lasting 16 days compared to 12 of the Genius 9000. The Genius 9000 comes with a brush head storage compartment that holds up to 4 heads whilst the Smart 6 6000 comes with a brush head stand that holds 2 brush heads. 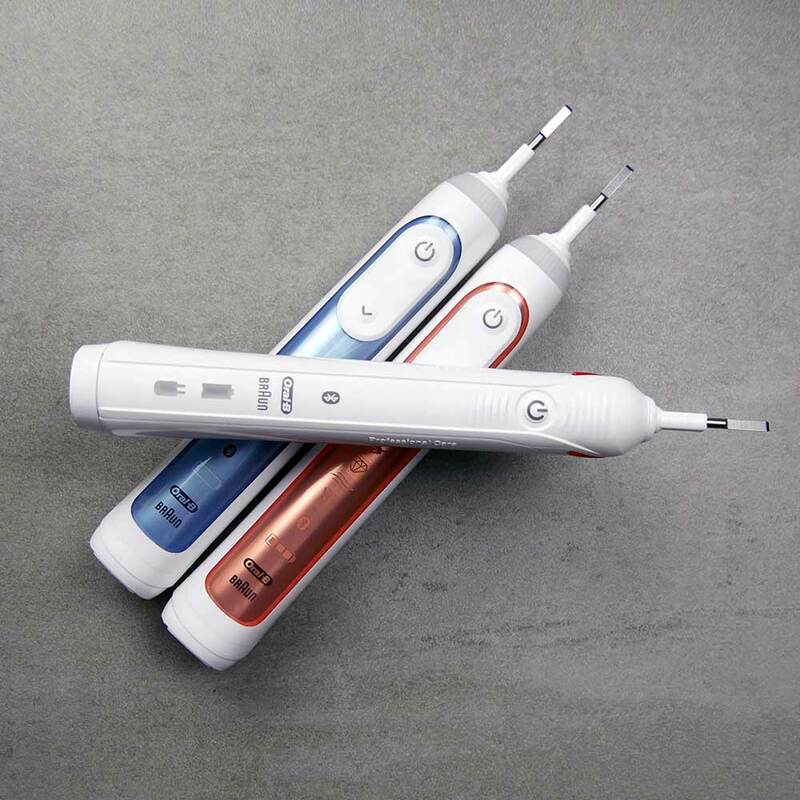 The Smart 6 6000 comes in a Blue/White colour configuration compared to the Silver. White, Rose Gold, Orchid Purple and Black colour combinations of the 9000. The Smart 6 6000 is the cheaper of the two. 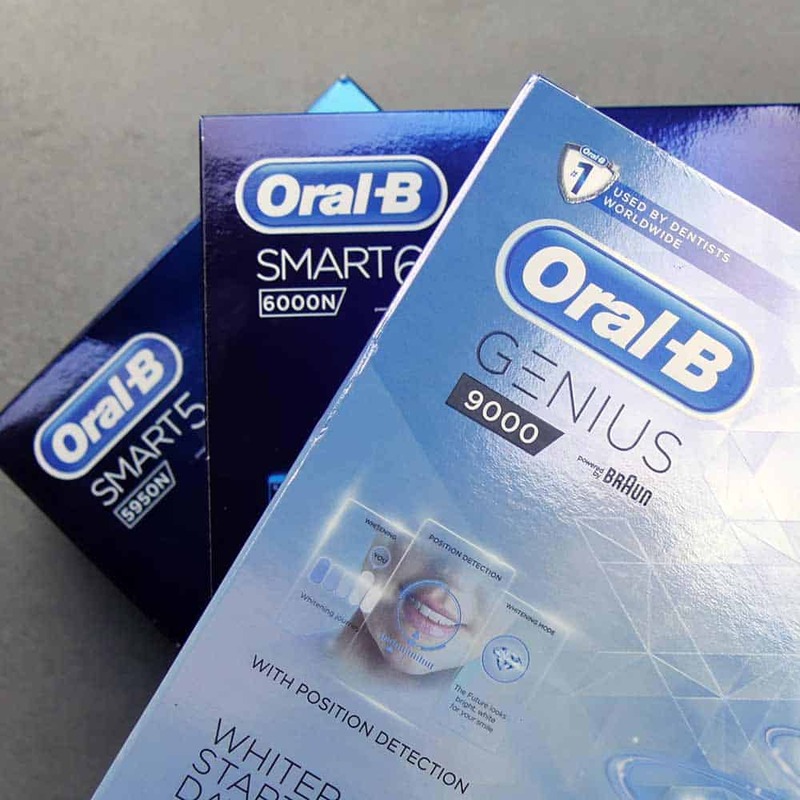 In 2017 Oral-B have launched the Smart 5 5000 and the Smart 6 6000 which we are comparing here alongside the Genius 9000. A comparison of the older Pro 500 and 6000 is available here. Detailed Comparison: What’s the difference between the Oral-B Smart 5, Smart 6 and Genius 9000? 3 very capable electric toothbrushes all with slight differences. The above summaries show how the brushes compare side by side, but this written description will not look at all 3 and explain those differences in a bit more detail and what this actually means to you and I as users. Starting with the design. Aside from the colour the Smart 6 and Genius 9000 are essentially identical. The Smart 5 5000 is the slimmer of the 3. 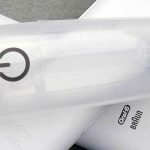 All are made primarily of a plastic construction, the main body on all is a gloss White plastic, the Genius 9000 Black being the exception. 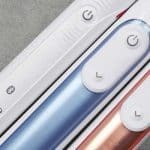 The Genius 9000 has the same coloured panel of the 6000, but rather than the Silvery-Blue, it is offered in White, Silver, Rose Gold and Orchid Purple. There is too an all Black colour option, which makes this panel and the rest of the handle Black too. 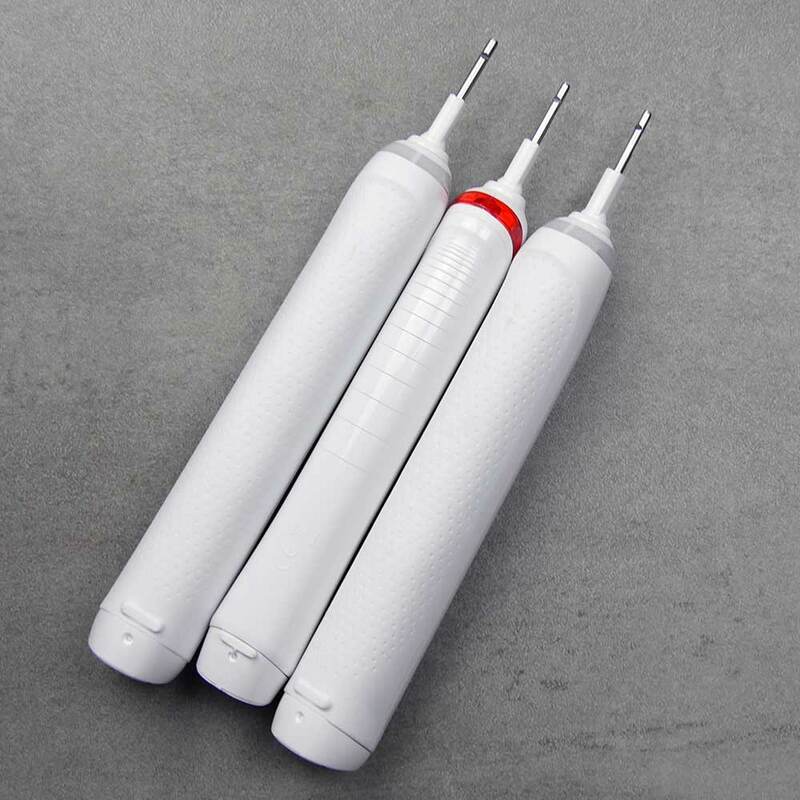 The back of the Smart 5’s brush handle is all plastic with grips from ridges in the plastic, whilst the Smart 6 and Genius have a White rubber grip, all down the back of the handle. On the other two there is a power button, but there is too another button, this is the cleaning mode button. You press this to change the cleaning modes. 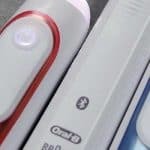 Unlike the Smart 5, the Smart 6 and Genius 9000 actually have icons that illuminate with a White light to show which cleaning mode is selected. Situated within the panel below the buttons, these icons are a lot smarter and more practical than the Smart 5. However, there is no icon for the standard Daily Clean mode, which is a bit strange. On first glance, the Smart 6 and Genius looks the more appealing. Of course it is personal opinion, but overall the very slightly slimmer profile and rubber fronted Smart 5 feels better in the hand. On the other 2, this is replaced with a ring that runs 360 degrees around the handle. This does too illuminate Red when the pressure sensor is activated, but too can be set to 1 of 12 different colours via the smartphone app. This ring then is lit that colour whilst the brush is switched on. With the aesthetics covered, let’s look at some of the other differences. The 9000 does benefit from one extra, 6th, cleaning mode. Tongue Clean. 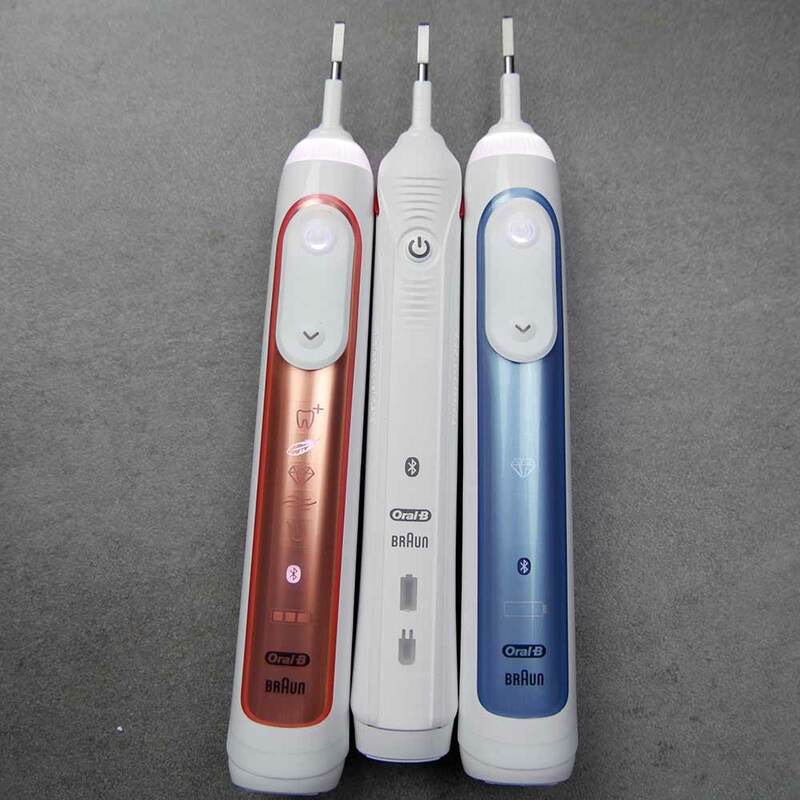 A slightly lower powered mode it last for 20 seconds and as the name implies it is for cleaning the tongue, something many overlook when brushing. Did you know it’s one of the biggest causes of bad breath! All come with brush heads included in the box. The Smart 5 and 6 come with 3 in the box, they are 1 x CrossAction, 1 x 3D White and 1 x Sensitive/Sensi UltraThin. The Genius 9000 on the other hand comes with an extra CrossAction brush head in the box, so 4 heads in total. Each of the brush heads work slightly differently to achieve different results and work best with specific cleaning modes. 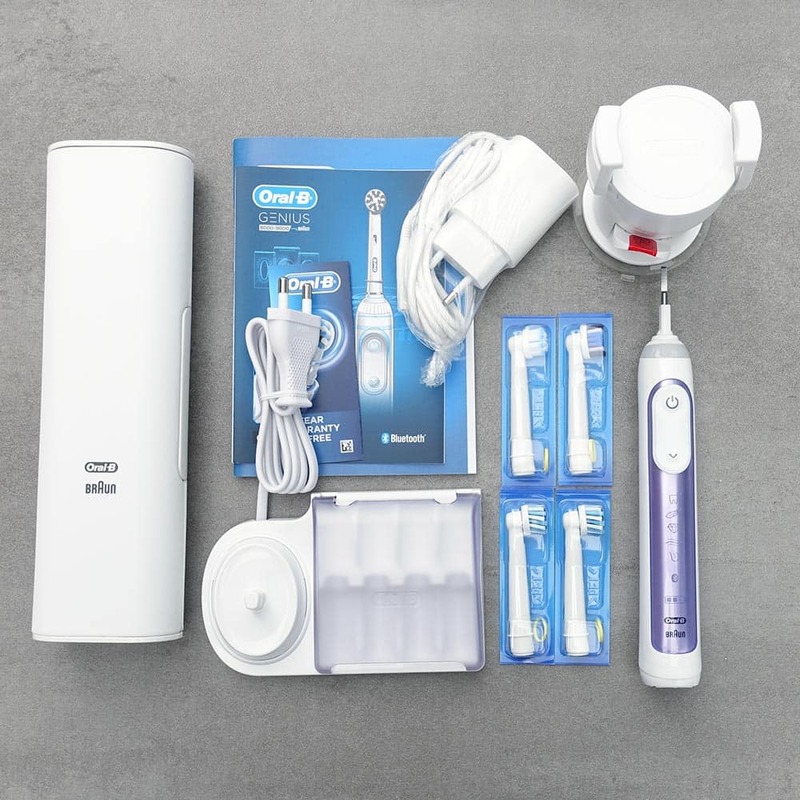 You can read our guide to Oral-B brush heads to find out more and understand the differences. To aid with the cleaning these brushes all connect to an Android or iOS smartphone with the partnering application and this is what makes these brushes so special. We cover the connectivity and how it works in more detail in the reviews of these brushes (links at the bottom of this comparison). However, the Genius 9000 offers an extra feature compared to the Smart 5 and 6. This feature is position detection. 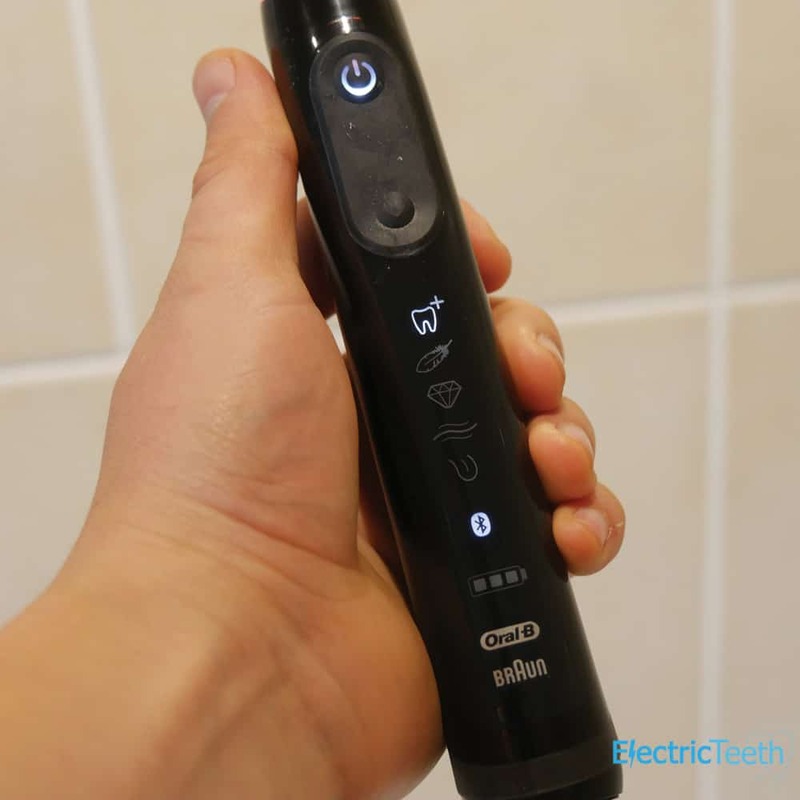 The app uses the front facing camera on your smartphone to watch how the brush is moved and position within the mouth, for real time feedback and instruction and guidance on how to clean your teeth better. How you brush your teeth is as important as how long you brush for really and many do it all wrong, so to be shown how to do it right is great. It is clever and does work, to a point. You need to spend extra time setting up and getting yourself positioned when brushing. You need to stay fairly still when brushing too. We like it, but for the vast majority, the benefits are outweighed by the hassle of setting it all up. With patience and a commitment, it will have a positive impact, but if you already rush as much as possible when brushing, this might not be for you. Although, checking your technique every so often might not be a bad thing, to brush up on your skills and oral health. As a result of using your smartphone camera, you need to align this with your face. So another difference is the 9000 comes with a suction cup smartphone holder that is designed to fix to a mirror or tiled wall in your bathroom. It has to be at head height to allow it to work properly and it will accommodate most phones. However, such an item on your bathroom wall or mirror will not be for everyone. The other 2 brushes come with a countertop mounted smartphone stand, that you simply dock your phone into, so you can see the onscreen timer and information. It can be easily moved and repositioned and you need not constantly look at it. All come with a travel case which we think is often an underrated inclusion in the box. Fundamentally whilst all 3 protect the brushes when in transit from damage and accidental activation, they all vary slightly. That supplied with the Smart 6 is said to be a bit more premium than the 5000 and the Genius 9000 is even more premium again. All hold the handle and up to 2 brush heads. All are of plastic construction but the Genius 9000 is finished in a slightly different material, slightly softer to the touch. Enter the case for the Genius 9000. An enhanced version of that supplied with the 6, it is a bit chunkier, heavier and feels every bit more premium. 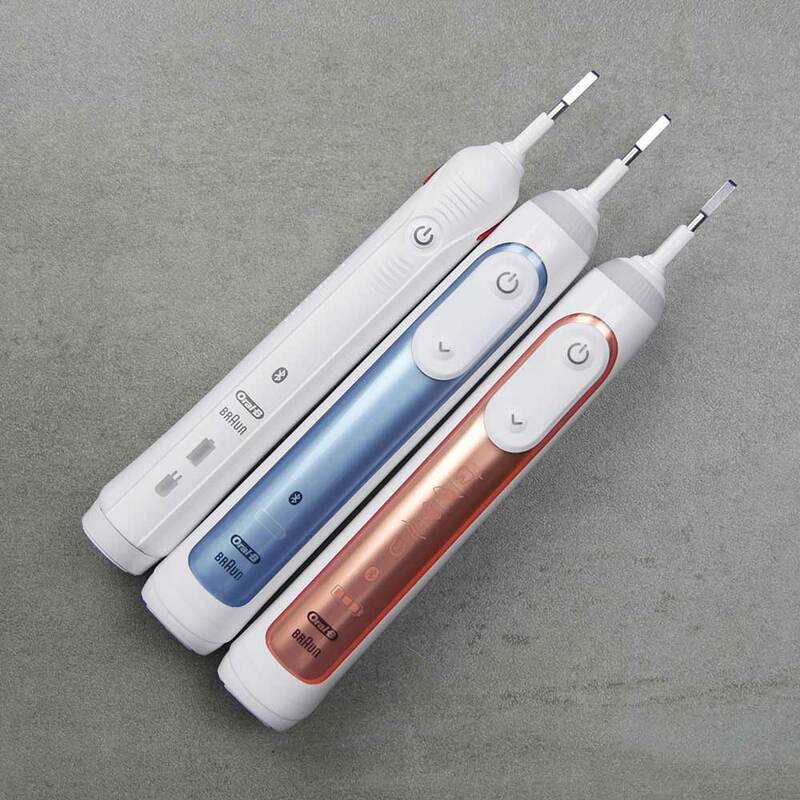 It’s unique feature though, it the ability to charge the brush in the case via the supplied power adapter. It does too have a USB port on the case. What this means, is you can connect the mains charger to the case to charge the brush. 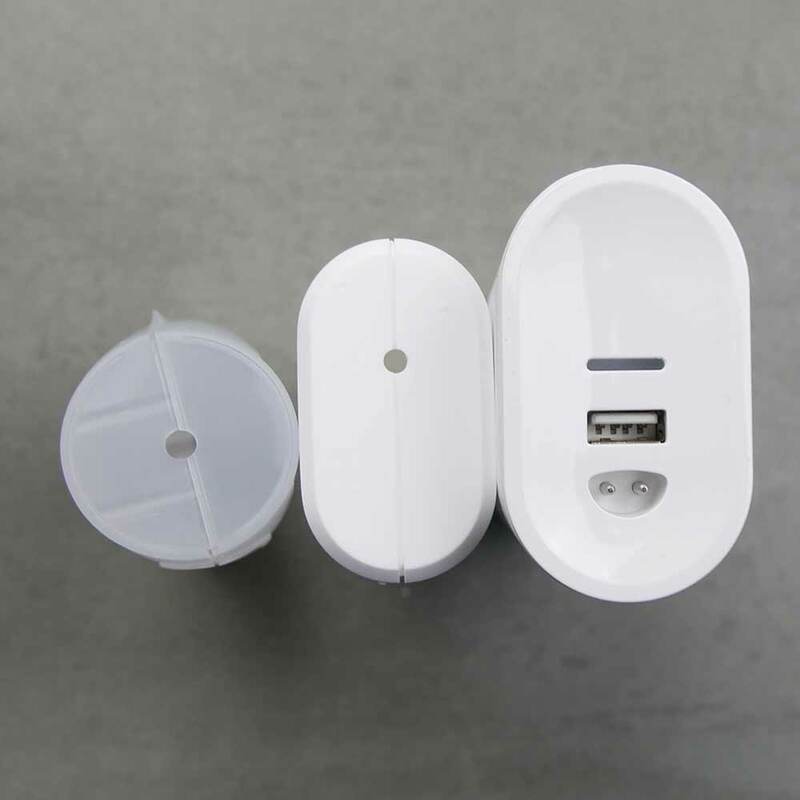 At the same time by connecting your USB charging cable for your smartphone, using passthrough power, you can charge your phone at the same time, with only one adapter connected to the mains socket on the wall. A bonus feature too is the built in smartphone stand to the lid of the Genius case. We prefer the case with the Smart Genius, but needless to say the others are perfectly functional. In the box with the Smart 5 5000 and Genius 9000 is a really great brush head storage compartment. 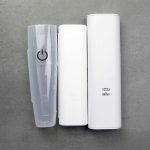 With the more Smart 6 6000, instead of this tray you get a brush head stand, a moulded piece of plastic that clips around the charging stand. It has 2 prongs on it, on which up to 2 brush heads can sit. It does provide a home for spare heads but they remain exposed and it feels poor in comparison to the Smart 5 and Genius. Not a major difference, but perhaps noteworthy is that in our hands on testing the Smart 5 achieved 16 days usage time (based on 2 cleans of 2 minutes per day) whilst the Smart 6 achieved 18 days. 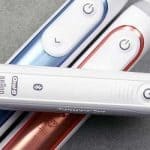 Officially Oral-B suggest both brushes have a battery life of 2 plus weeks. Sadly this is where the Genius 9000 falls down. Whilst being the flagship it offers a maximum of 12 days. In reality, for most this is fine, but it could be better given it’s the most expensive brush in the Oral-B range. Other brands offer brushes a fraction of the cost that beat this by a long way. All 3 use Lithium-Ion batteries compared to the older Nickel Metal Hydride batteries found on some models. All brushes have timers and pacers built in, come with a charging stand, are water resistant and have a 2 year warranty. 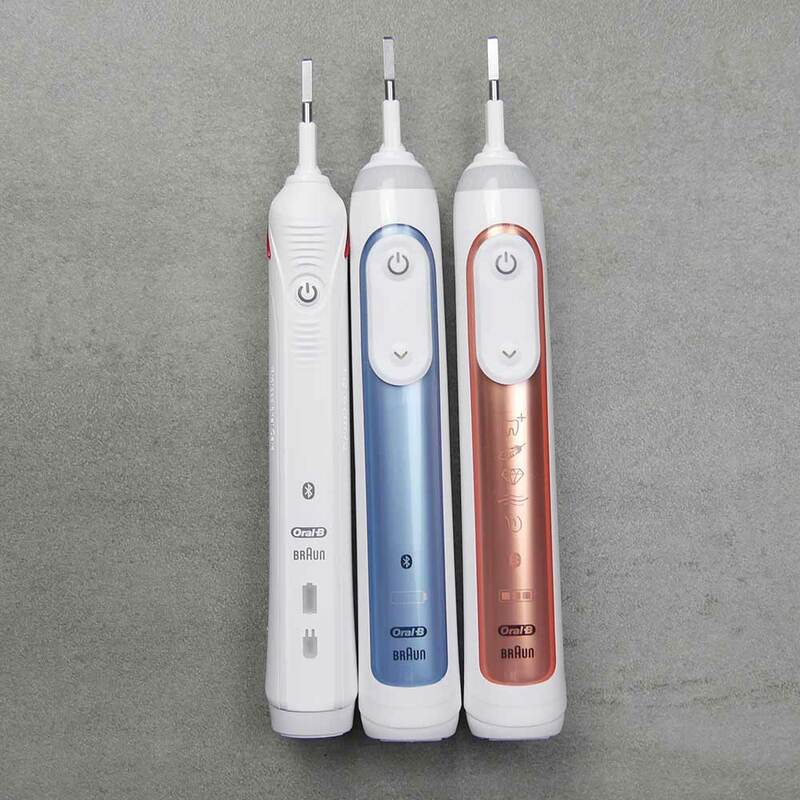 All the brushes deliver the same number of movements, both oscillations and pulsations. 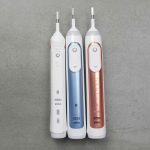 A significant step up from a manual brush, all will give you healthier teeth and gums as a result of use, if used with the correct brushing technique. 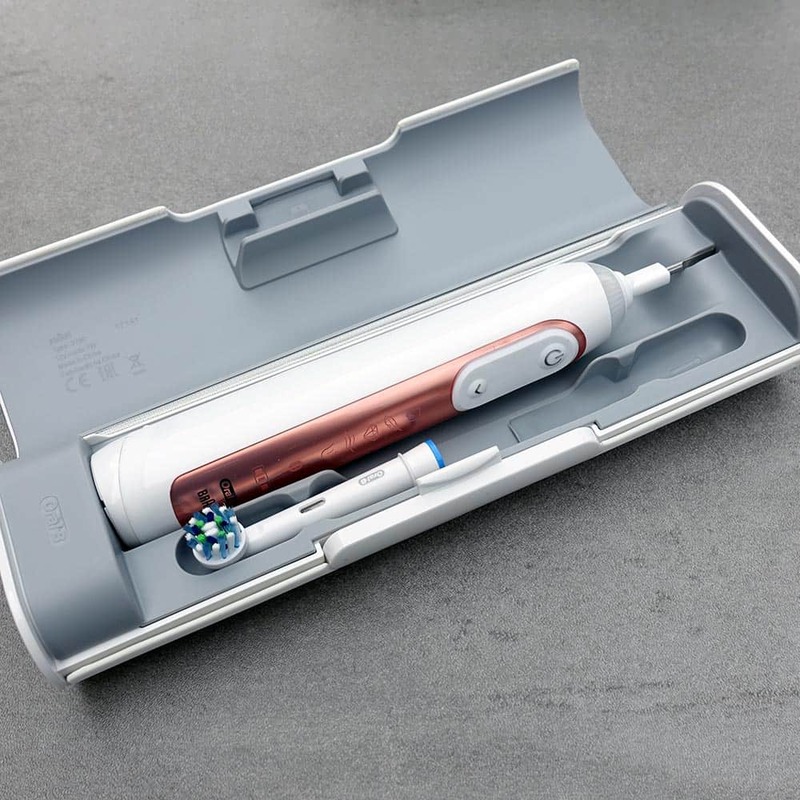 Hypothetically the additional cleaning mode on the Genius 9000 might play a part in better oral health. 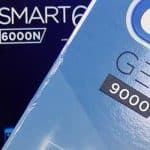 Whilst prices vary from retailer to retailer, the general pricing structure is such that the cheapest model is the Smart 5 5000, with the Smart 6 being cheaper than the more feature rich Genius 9000. This is always subject to change and it has been known to see the Genius 9000 available for less than the Smart 5 5000, but this is not common, more luck of the draw as to when you are buying. As a rough guide, the Genius 9000 is sold around £140, the Smart 6 around £100 and the Smart 5, £80. All sell for basically half their RRP price, most of the time. If you want the best, then the Genius 9000 (view on Amazon) is the one to go for. Technically in the cleaning and the features it offers, it is the most desirable and best suited. It is the pinnacle of what Oral-B offer. However, it’s price can be more than many are prepared to pay for and the position detection technology can be a bit fiddly to get to grips with on a daily basis. The Smart 5 comes in then behind the Genius 9000 as the next best option. The differences are not as great as one would first imagine, the clean is still great and it’s a lovely slim handheld unit. In our opinion, subject to price, the Genius or Smart 5 (view on Amazon) will be the better option over the Smart 6 (view on Amazon). Sadly the 6 feels a little lost in the range. 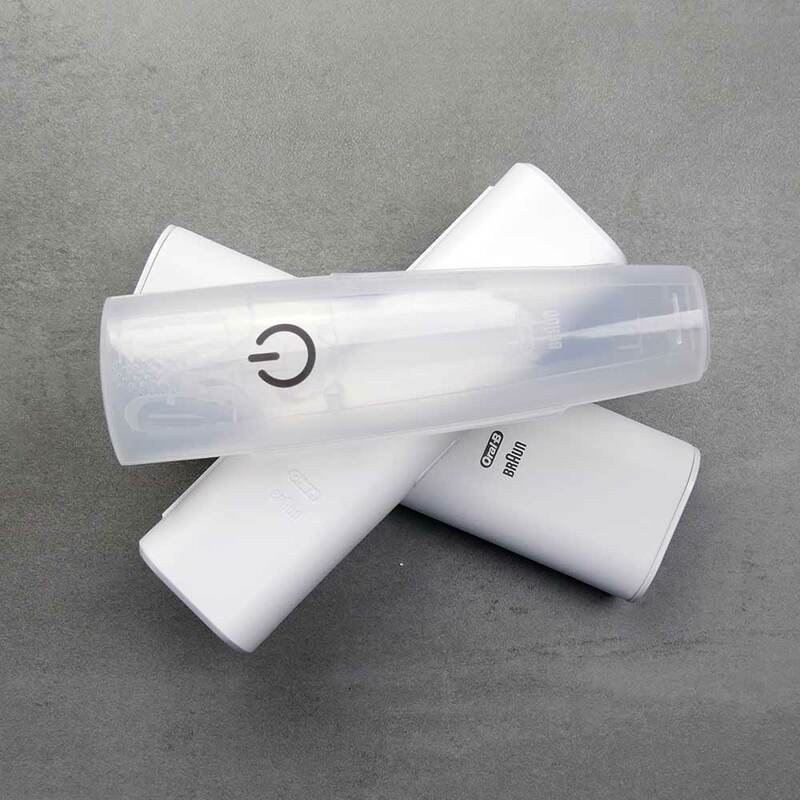 Where is gains by offering the cleaning icons on the handle it loses out by not having the better brush head storage compartment. 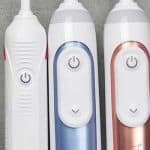 Draw your own conclusions as the time you are looking to purchase, but with any you will get a super toothbrush complete with Bluetooth connectivity. Ultimately either of the brushes discussed here will serve you well. 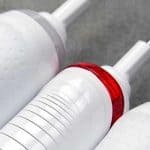 All the brushes are available from a wide array out stores from high street pharmacists to online retailers, the prices of these brushes can vary considerably and it is the Genius 9000 that is the most commonly seen and promoted.